Can you tell us about your experiences of Asia and what that brought to your holistic understanding of the world? I have always had one home in Asia from the late 1990s until now and it has been an exciting era to witness the changes. From the moment I first visited bustling Hong Kong, I fell in love with the continent. Economically I witnessed multiple miracles; the Chinese dragon woke up and it became the 2nd largest economy on the planet (it’s been the No 1 economy in the world 3 times before), Singapore became one of the most futuristic cities in the world and the Switzerland of Asia, South Korea became a complete powerhouse in technology, South East Asia (ASEAN) really started to garner global attention, and despite the ‘lost decades,’ Japan continue to be a hugely dynamic place and remains the 3rd largest economy in the world and at the forefront of many technologies. The cultural dimension was also mind-blowing. Living in Asia was key to me cultivating a different way of seeing the world. By osmosis I started to approach things quite differently during my time immersed in Japanese culture and language and then in Korea and China. I learnt to respect context for everything. When I interacted with people I was taught to understand the bigger context first and foremost before rushing in to a relationship with them. Ultimately I approached all things like this. You cannot understand anything without grasping its relationship to wider and wider systems as everything is interconnected. In Zen we say that the flower is composed of non-flower constituents – the rain, the air, the soil and so on. The flower cannot exist in isolation. Nor can a person, a mountain or an eagle. I guess I was learning a systems way of seeing the world. However, it was through Zen meditation that I began to see deeper truths. I think true ‘holism’ comes from letting go of one’s attachment to words and concepts. The educator Krishnamurti once said that when you tell a child this is a tree, he or she stops seeing the tree. It just becomes a concept. Notice how young children, who aren’t living in thought and words and concepts seem to see and interact with their environment more than adults. The brilliant quantum physicist, David Bohm, wrote a lot about this in some of his works. This might lose some people but he suggested that language divides the universe into pieces and assigns words to them. Reality can seem to change when you speak or think in different languages as different languages chop the world up into different pieces! You’ll know what I mean if you speak a second or third language. And the Eastern languages chop things up very differently indeed. Delving in to Asian philosophies, arts and Zen ultimately made me more comfortable with space and silence, which is always whole. My late Zen teacher would say, “silence is indeed holy.” It is this whole, or source, from whence all creativity and wisdom comes. In Zen we say that the flower is composed of non-flower constituents – the rain, the air, the soil and so on. The flower cannot exist in isolation. Nor can a person, a mountain or an eagle. I guess I was learning a systems way of seeing the world. Given the climate change crisis we are facing, I found it intriguing that you attended Schumacher College in the UK. How was that experience? 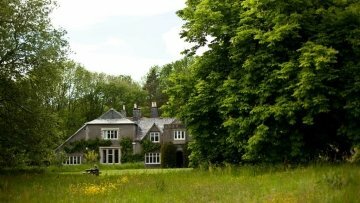 Schumacher College is a fascinating place dedicated to ecological thinking and embedded in the experiment that the Elmhurst family commenced in 1926: Dartington estate has been dedicated to progressive thinking. At this time of ecological crisis, it was a natural place for a future-thinker to gravitate. 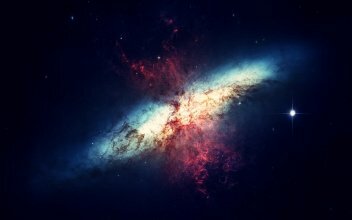 Schumacher College was propelled into life 25 years ago by Satish Kumar, and many great visionaries have passed through – one of its first lecturers was the famous NASA scientist James Lovelock. Located in the stunning Devon countryside and encircled by the River Dart, Schumacher is a magical place – it’s kind of like Santa Fe Institute meets Esalen meets Hogwarts! If that makes any sense at all! The story of how I ended up there is quite strange to say the least. My wife (who is Korean) and I had named our Eurasian daughter Gaya earlier that year and similar to the European word ‘Gaia’, the more Asian spelling ‘Gaya’ also has earthly implications. We thought she would love Mother Earth but also because she would represent the new generation which would be reconnected to nature. I felt compelled to track down the visionary scientist James Lovelock who coined ‘Gaia theory.’ I ended up meeting Stephan Harding who had worked with Lovelock, and I was so inspired I ended up completing an MSc in Holistic Science there. Looking back, I learnt a number of things. First, for many years I had drawn upon nature as a source of intelligence when I looked at trends. Observing the cycle of life and death in natural systems was often more useful than status quo Newtonian thinking. So I was excited to learn more from ecologists, system thinkers and complexity scientists. Interestingly Goethe is very much respected at Schumacher. He is popularly known as a poet but actually he was a scientist who believed in a very holistic approach in looking at Nature. They call this the science of qualities, instead of merely the science of quantities which is only concerned with numbers. I realized that the great scientists were also poets at heart as they were in search of Nature’s mysteries. Just read all the biographies of the great scientist and you’ll know what I mean. Second, I was exposed to the world of deep ecology at Schumacher; how we can truly reconnect to the Earth? The only way we will escape our ecological crisis, and save our species, will be to fall back in love with the land, Gaia. Talking about CO2 or the Sixth Extinction won’t make any difference if we don’t reconnect and rekindle our reverence for nature. Many technologists used to be concerned with mastering nature, particularly since the Industrial Revolution. One of the new trends is biomimicry where we learn from Nature’s intelligence and 3.5 billion years of R&D, it’s a huge field now. 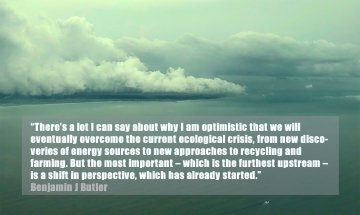 There’s a lot I can say about why I am optimistic that we will eventually overcome the current ecological crisis, from new discoveries of energy sources to new approaches to recycling and farming. But the most important – which is the furthest upstream – is a shift in perspective, which has already started. That said, I am not blasé , I recognise the seriousness of the situation. Do you, as a futurist, have any interest in the past? What do you think is the role of the past in shaping the future? In undergraduate economics course I did there is cursory mention of only Kondratieff who looked at cycles. But he’s not taken seriously any more despite his international fame when he was alive. According to Nefiodow, in the book ‘The Sixth Kondratieff’ , “a Kondratieff cycle is a reorganization process of economy and society with the objective of opening up areas of large demand by means of basic innovations”. One cycle is about 40-60 years. Cyclical business cycles are often about 7 to 10 years in the USA. One rare modern book by some Western historians got attention in the USA in the last US Presidential election. The Fourth Turning showed social cycles roughly every 25 years in Anglo American history. The authors estimated that US society was due a ‘Winter’ period – a breakdown – from about 2005 based on demographics. The analysis fitted in with the cycles at which I was looking. During these periods thought leaders emerge to facilitate the creative destruction of the nation, so it was no surprise to me that someone like Donald Trump materialized in the 2016 election. How did your spiritual journey impact your view on the economy and the world in general ? Do you think spirituality and the economy are two separate fields, or do you feel it is possible to weave them together ? In what ways? Well that word ‘spiritual’ is kind of interesting and it depends on how you define it. It speaks to some people and unnecessarily turns others off. Very generally speaking when people use the word, there might be the meaning that it involves seeking one’s highest self, perhaps self-realisation. This may or may not involve a God. I do use the word myself but often reprimand myself for using it because I don’t believe there is really a division between the material world and the spiritual world! Our insights in life might equally come from meditation, prayer, dreams or interactions in real life. I daresay, my family members and colleagues have helped cultivate my wisdom as much as anything. Personally, I have found that understanding my mind seems to be one of the ways of make the quickest progress to self-realization. You might say this clears one’s blockages to the Divine. Or you might just take a more psychological approach and say it cultivates a clear way of thinking unobstructed by delusion and dogma. Let’s come back to your question and economics. In the Eastern philosophies of Zen, they are concerned about how your mind functions. Some say that Zen is the science of the mind. So in that sense, its directly relevant to the economy and finance. I always found that an understanding of the mind was missing from most analysis of financial markets. Of course, titans of finance like George Soros knew that an understanding of the mind, the psychological aspects of decision-making, was important. His famous book, the “Alchemy of Finance”, had a subtitle the “Mind of the Markets”. Now economics is remembering that an understanding of how people think is important again – which all the deep economists knew. It was only recently that finally an economist won a Nobel Prize in Economics in the psychology of finance. There is also the perspective of whether an economic system is fair and equitable. What we have seen in the West in the past couple of decades does not look to be fair. There are at least 2 key reasons, which need addressing. First, I think the success of multinational companies in both creating monopolies (or oligopolies) and moving their production offshore has given them immense power and contributed to wealth concentration. Look at most industries today and you’ll see a small group dominate. In the tech world its often just one company, like Google in search and Amazon in online shopping. The gap between the CEO and the median worker has soared over my lifetime. Second, some might say that the action of central banks around the world caused a flood of money pushing up financial assets. So those very affluent people who have a disproportionate amount of their savings in such assets in stocks, bonds, property and art have disproportionately benefited. Apparently half of the US population doesn’t have the savings to cover an unexpected $400 bill. So we do need to move to a fairer system. What future projects do you have in mind? And do you have any concluding insights to pass on to our readers? Project-wise my current focus is twofold. First, I am fascinated by our collective journey into the future. But not merely as a passive observer, I am a participant and I also have a 3 year old daughter. I see it as my mission to bring the ‘soul’ back into the future. So I will be exploring this in a lot more in writing – I am now writing at Intelligent HQ, Emerging Future and I am also due to do some writing for Futur.io: The European Institute for Exponential Technologies and Desirable Futures. Futur/io invited 50 selected CxOs to be part of CxO Executive Programme on Exponential Technologies. The programme joins a group of European leaders. 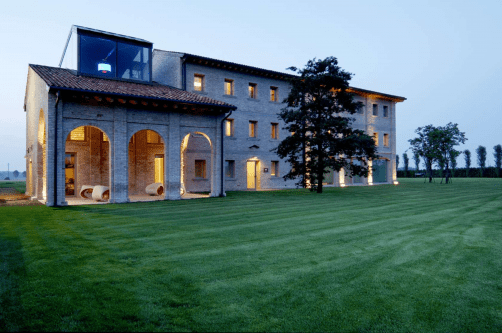 It will happen at H-Farm, an innovation farm close to Venice. H-Farm is a digital platform which helps people and new born companies to move their business into a digital way of thinking. I am also finishing off a book called “The Futurist” which I intend to publish this year. It’s almost like the Sophie’s World for the future – a dialogue between the Futurist and a Chinese girl Feng – about the future of humanity. I believe that a dialogue is a great place to explore the future as it allows greater nuance. On the surface there will be some anticipation of the future, but the deeper meaning of the book is how to befriend uncertainty and cultivate a futurist mindset. Second, I am also doing a lot of coaching and one-to-one advising. 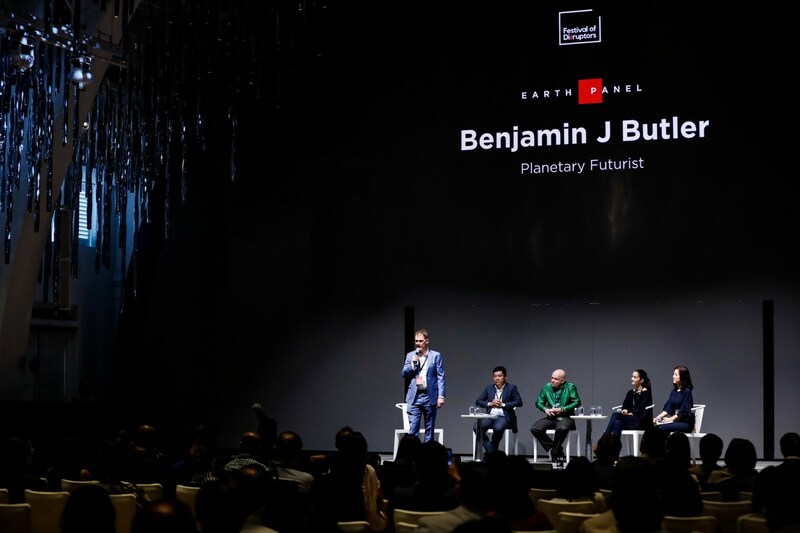 Recently I sat on the advisory board of a top Korean tech company and I am open to advisory positions but I also think that the world already has enough futurists focused on large organisations. As I said, I feel that to avoid some of the futures warned by great visionaries and scientists like Stephen Hawking, we need to stir the human soul again. Technology alone is not the answer, its only part of the puzzle. If more of us can find our true purpose on the planet, to light that inner fire, I do believe we will move in the right direction collectively. I rarely find that someone’s true passion is to destroy the planet or blow people up. And I believe I have a gift for helping others think imaginatively about their future, find their calling and guide them on their odyssey. There is nothing more rewarding.